I'll be back later next week, though I may sneak a post in here or there. 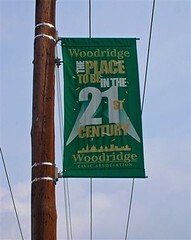 In the meantime, don't forget the upcoming Woodridge Civic Association Monthly Meeting (Tuesday, May 1st, 7pm) and the ANC-5B Monthly Meeting (Thursday, May 3rd, 7:30pm), both at the Washington Center for Aging Services, 2601 18th Street, NE. Saint's Bourbon Street is one of the only sit-down restaurants in Woodridge. Located at 1812 Hamlin Street, NE (where Hamlin and Rhode Island Avenue meet across from the Woodridge Library and next to Woodridge Liquor), Saint's specializes in Cajun/Creole cuisine, and bourbon cocktails. Check out their mouth watering menu here, stop by for some of the live music (dates below), and make them your friend on MySpace. Friday, April 27th: Harry Wilson Jazz Trio will be here at 9:00 pm. This performance is free! Saturday, April 28th: Saint's will be closed all day due to all day private party. See you Sunday! Friday, May 4th: Stacey Brooks and Band Synergy will perform at 9:00 pm. This blues band performance is free! Saturday, May 19th: It's our one year anniversary! Come out and celebrate the completion of our first year! Harry Wilson will play live for free! The performance will start at 8:00 pm. Sunday, May 20th: The Terry Marshall Quartet featuring DeCasto Brown on vocals will perform. There is a ten dollar cover charge applied by the band, and a two drink minimum applied by the restaurant. Come see this innovative live performance! A repeat performance will be played June 24th! All Sunday performances start at 4:00 pm. Call 202.269.2150 for additional information. Where: Shuttle service to the island is available. Kingman Island can be accessed from the Stadium Armory Metro on the Blue and Green lines by walking long 21st Street, NE to RFK Stadium Parking Lot 6. Shuttle service from Stadium Armory to the Island will be provided free of charge at 9:25am, 9:35am, and 9:45am. If arriving via car, please park in RFK Stadium Parking Lot 6 and use the lot entrance located off Benning Road. Individuals with disabilities should use the Benning Road entrance of RFK Stadium to access the Island. To RSVP and for Additional Information: Contact Melissa McKnight, AWC Grants and Partnerships Director at 202.406.4036 or melissa.mcknight@awcdc.com. About Kingman Island: Kingman Island is a 1-1/2 mile long, 45-acre parcel of land in Ward 7 located in the Anacostia River. The five-acre Heritage Island is located west of Kingman Island. Both islands were created artificially from dredge taken from the Anacostia River in the 1920s. 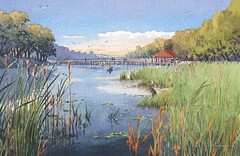 AWC recently awarded grants to the Earth Conservation Corps (ECC) and Living Classrooms National Capital Region(LC-NCR) to assist with the development and management of Kingman and Heritage Islands and the planned Environmental Education Center, which will meet the U.S. Green Building Council's requirements for a platinum rating in its Leadership in Energy and Environmental Design (LEED) program. A number of public officials and community leaders have been invited to participate in the program portion of the Grand Opening, which will begin at 10am. A variety of educational and recreational activities are planned for adults and children, including island exploration, native animal education, discussions on habitat and the origin of Island and river pollutants, wetlands planting, tree education, a raptor show, art work from local students and face painting. Etc. : Refreshments will be provided by local businesses. For more information or to volunteer, please contact Councilmember Thomas' office at 202.724.8028. Labels: Brookland, civic engagement, community, community investment, DDOT, DPW, Edgewood, Harry 'Tommy' Thomas Jr. Please join Eckington Civic Association, Emery Elementary School, City Year Young Heroes, Hands on DC, McKinley Technical High School, Edgewood Civic Association, North Capitol Main Street, XM Satellite Radio, and the DPW Helping Hands Program for the largest community improvement project we have ever held. The event will start and finish at Emery Elementary School, 1720 First Street NE. Our day will run from 10am until 4pm with a break at 12:30 at Emery where lunch will be provided. We will break up into teams and head out into the community to work. Tools will be provided by City Year, DPW Helping Hands, and Hands On DC. There are a wide range of project you may work on, painting murals, gardening and weeding in pocket parks, cleaning streets and alleys, painting inside Emery, painting parking lot lines, and creating a large tree box at the school. Our goal is to clean from North Capitol Street east to 4th Street NE and from Rhode Island Avenue NE south to Florida Ave NE. Collection points for the trash will be at First and R Streets NE, R Street and Eckington Place NE, and 4th and V Streets NE. We will be adding two more pick up sites between T Street and Rhode Island Avenue NE. Why should I take part in this project? We need your support to make this happen. 100 of our high school and middle school young people will be taking part in the clean up. Your time and effort will make you a true agent of change for a better DC! Meet the NCMS, Inc. Board of Directors and volunteers at the first NCMS, Inc. Spring Open House! On Monday, April 23, 2007, at approximately 3:44 am, police were called to the 1300 block of Saratoga Avenue, NE, for the report of a shooting. Upon arrival police located 20-year-old Delonte Marshall, of the 1500 block of 45th Street, NE, suffering from an apparent gunshot wound to the neck. He was transported to the Washington Hospital Center’s MedStar Unit and admitted in serous condition. On Monday, April 24, 2007, Delonte Marshall succumbed to his injury and was pronounced dead. The case is under investigation by members of the department’s Violent Crimes Branch. Anyone with information about this case is asked to call police at 202.727.9099. A child was struck around 10 p.m. Tuesday night in Northeast. DC Police say a 6-year-old was hit by a car in the 5000 block of Jay Street. Police are looking for the vehicle but no description of the car has been released yet. The child has been transported to a local hospital with non-life threatening injuries. A. You are a completely useless human being if you can plow down a child (or anyone for that matter) and then continue on your merry way. Once you upgrade from "hit" to "hit-and-run," manslaughter should no longer be an option on the table. B. Why the hell was a 6-year-old out in the street, let alone at 10pm? Yes, I know kids will run where they want, when they want, but there are far too many small children crossing busy intersections and running into streets (busy or not - all it takes is one car) without any parental/adult supervision in sight. Please, please, PLEASE guardians, dust off the tight leash and use it - particularly with our little ones. **UPDATE**MPD is now offering a reward of up to $10,000 to anyone who provides information that leads to the arrest and coviction of the person(s) responsible for this fatal hit-and-run. Anyone with information is asked to call police at 202.727.9099. If that's not convincing any witnesses to step forward, maybe this image will: the SUV hit Crysta so hard it knocked her out of her shoes, threw her into the air, and then ran her over. New stop signs and speed bumps are slowing down traffic where a hit and run driver killed a 6-year-old girl Monday. Crysta Marie Spencer was struck across from her family’s home in Northeast Washington. The little girl dashed into 6th Street near Orleans Place. She was trying to reach a church where she attended an after-school program. Her mother was on the family’s front porch and saw the SUV coming. Relatives say she yelled for Crysta to stop but could not reach her in time. Relatives, friends, and neighbors are placing toys and mementos on poles near the place where Crysta was killed. They say she was a sweet child who helped take care of her 2 younger sisters. The first grader would have celebrated her 7th birthday on May 7th. Family members say they will still have a birthday party for her. DC police are searching for the driver of a green SUV. It has tinted windows and possibly Maryland tags. Crysta’s family members say speeding cars on their street had been a danger to pedestrians for years. Anyone with information about this case is asked to call police at 202.727.9099 or the department’s Crime Solvers Unit at 1.800.673.2777. All calls to Crime Solvers are confidential. If a caller provides information through Crime Solvers that leads to an arrest and indictment he/she will be eligible for a reward of up to $1,000. This reward may increase tomorrow. Their Eyes Were Watching God, the brilliant novel published in 1937 by Zora Neale Hurston, is the focus of THE BIG READ, a city-wide reading event in April and May created by the National Endowment for the Arts. Everyone in the city will be reading the same book at the same time! DC's Big Read is part of the The Big Read, an initiative of the National Endowment of the Arts in partnership with the Institute of Museum and Library Services and Arts Midwest. DC's Big Read is presented by the Humanities Council of Washington, DC and the DC Commission on the Arts and Humanities. The events below are at the Woodridge Library, 1801 Hamlin Street, NE (at the corner of 18th and Rhode Island Avenue, NE). Book display, "Remembering Zora Neale Hurston"
Join us for a video presentation of the film "Their Eyes Were Watching God," produced by Oprah Winfrey, starring Halle Berry. The Friends of the Woodridge Library (FWL) will provide refreshments. The branch has copies of the book for check-out; FWL has provided a limited number of copies to give away if the recipient commits to attending and participating in the May 2nd discussion (details below). With refreshments provided by FWL, DC performer, author and playwright Joy Jones will kick off discussion of the novel. Joy says, "I discovered Zora Neale Hurston in college and it was like discovering chocolate. The study of literature suddenly became delicious!" Ms. Jones grew up in NE an avid reader and regular patron at Woodridge Library. She still visits DCPL for books many times a month. Her recent op-ed piece in the Washington Post, "Marriage is for White People," received national attention. Reading groups and book clubs are especially urged to attend, to share information about the book, and also to tell how to form a good book club and make it work. The Literary Friends have prepared a book box filled with materials about Hurston that book groups can borrow. · Community Concerns, including Elsie Whitlow Stokes Community Freedom Public Charter School's (Stokes School) consideration of moving to an existing building on Oakview Terrace, NE, which is a cul de sac located off of Perry Street, between 12th and 13th Streets, NE. **UPDATE** Reports are now saying that Crysta Spencer was 6-years-old, and would have turned 7 on May 7th. She may not have been in the crosswalk, and her mother was watching from their stoop on Sixth Street. While this moment isn't the best for doling out responsibility, why wasn't Crysta's mother helping her cross the street? MPD has issued a look-out for a green Ford Explorer or a green Toyota 4Runner with tinted windows, front-end damage, and unknown Maryland license plates. Notify MPD at 202.727.9099 if you have any information. A child has died after being struck by a vehicle in northeast D.C., authorities said. Shortly before 4:30 p.m. Monday, police went to the intersection of Sixth Street and Orleans Place and found a 7-year-old girl unconscious. Police said a vehicle struck the girl and fled the scene. The girl suffered serious injuries and was taken to an area hospital. She later died. Police said the girl was crossing Sixth Street to go to an after-school program when she was struck by a green vehicle, possibly an SUV, traveling north on Sixth. The vehicle may have had Maryland license plates. · Enhance transit connectivity, pedestrian and bicyclist safety, accessibility, and efficiency. · Reduce traffic congestion at key intersections. · Reduce impact of truck traffic on residential neighborhoods. · Lay the groundwork for future transportation investments. · Reinforce a sense of place through creative and sustainable urban design, and create a safe, inviting, and interesting public realm that supports diversity of use and activities. Check the project website to view and download the final report (March 2007, 166 page PDF). For questions and special accommodations, please contact Sharlene Reed, Ward 5 Transportation Planner (Sharlene.Reed@dc.gov; 202.671.0493), or William Carlson (wcarlson@volkert.com; 703.642.8100). The Office of Planning (OP) has initiated a study of the Florida Avenue Market and is engaging property and business owners within the Market, as well as residents, institutions and other stakeholders surrounding the Market. The purpose of the Study is to conduct an existing conditions analysis, an economic analysis of the wholesale and retail market functions, and an operational analysis. Additionally, the Study will provide demand projections for other potential uses on the site, resulting in various redevelopment/revitalization scenarios for consideration. The Study will also address sustainable development (green technology), urban design, transportation and historic preservation issues. Before any decisions are made regarding the future of this site, it is critical that the District and all affected parties have a full and balanced understanding of the opportunities, constraints and fiscal impacts of redevelopment, and that the public is significantly involved in considering these findings. The Florida Avenue Market is at a critical juncture of its history. Your participation in the coming months is critical for creating a successful and responsive plan! 3:30-5:30 pm - for Market stakeholders, vendors, etc., especially, but the content at the two meetings is the same. The Office of Planning invites property and business owners within the Florida Avenue Market and neighborhood residents and stakeholders around the Market area to help us create development recommendations for this site. For more information or to RSVP, please contact: Deborah Crain, Ward 5 Neighborhood Planner, 202.442.7615 or deborah.crain@dc.gov; or Jeff Davis, Ward 6 Neighborhood Planner, 202.442.7704 or jeff.davis@dc.gov. » Sang Oh Choi's vision for the Gateway Market & Residences, "The Gateway to the Next Great Place"
Councilmember Phil Mendelson (At-Large) recently announced that he is holding a Town Hall Meeting to address a wide spectrum of issues related to crime in the District of Columbia. The theme for the citywide session is "Make Public Safety a Community Affair." Members of the public are invited to join Mendelson and a number of officials who are slated to make brief presentations and answer questions on topics ranging from crime prevention to prosecution, and detention to rehabilitation. The Town Hall will be held on Monday, April 23rd, 2007 at Ward Memorial A.M.E. Church from 6:30 until 8:30pm. Located at 241 42nd Street, NE, Ward Memorial is accessible via the Benning Road stop on Metrorail's Blue Line and is also accessible via the V7, U2, and W4 Metrobusses. Confirmed guests at the Town Hall are: Chief of Police Cathy Lanier, DC Attorney General Linda Singer, US Attorney Jeffery Taylor, and Devon Brown, Director of the Department of Corrections. Also invited are representatives from the DC Superior Court, Public Defender Service, Pretrial Services Agency, Bureau of Prisons, and the Court Services & Offender Supervision Agency (CSOSA). "I urge the residents of the District to join me at this Town Hall and take advantage of this opportunity to air their concerns and get straight answers to their questions on public safety-related issues," stated Mendelson. "Not often are all of the key players in one place at the same time, and no issue is too large or too small when it comes to making our neighborhoods safer places to live, work, play, and learn." Currently serving in his third term as At-Large Councilmember, Phil Mendelson is also Chairman of the Council's Committee on Public Safety and the Judiciary. For more information, visit http://dccouncil.us/mendelson/index.html. As part of previously announced work on the South Dakota Avenue Bridge in Northeast, the District Department of Transportation (DDOT) will close the inbound and outbound left lanes Monday, April 23 through Friday, April 27 between the hours of 9:30am and 3:30pm. The South Dakota Avenue Bridge runs on South Dakota Avenue, NE, between Vista Street/Franklin Street on the north side and 30th Street on the south side (over the CSX railroad tracks). The lane closures will take place in the bridge area only. DDOT will maintain three lanes of traffic in each direction, Monday through Friday during the morning rush hour (6:30 am to 9:30 am) and the evening rush hour (3:30 pm to 6:30 pm) One lane of traffic flows in each direction all other times. Project summary: The $7 million restoration of the South Dakota Avenue Bridge uses a combination of federal and local funds. The rehabilitation work includes reconstruction of abutments and the bridge deck, in addition to roadway and intersection improvements on both sides of the bridge. Weather permitting the project is slated to be completed in March 2009. DDOT will continue to update the public on the progress of the project. Hours of work are Monday through Saturday from 7am to 6pm. DDOT encourages motorists to use extreme caution when passing through the work zone. For more information, please see District closures, street closures and traffic alerts. Visual artist Calvin Coleman, II will display his works and talk to guests at the Adobe Design Center, located at 606-C Rhode Island Avenue NE (near the Rhode Island Avenue Metro station, above Flash Glass), on Sunday, April 22th, 2007 from 2pm to 4:30pm. He has exhibited at the National Black Fine Art Show in New York City, galleries in Philadelphia, Chicago, Atlanta, and throughout the Washington, DC area. In late 2006, he exhibited in Toulouse, France. His work is also featured in Unveiled, a book by R&B-jazz singer and photographer Will Downing. Art will be available for purchase; refreshments will be served. This event is being hosted by the Arts and Letters committee of The Federal City Alumnae Chapter of Delta Sigma Theta Sorority, Inc. For more info, call 202.545.1913. Join us at our upcoming Community Computer Sale on Saturday, April 21st, 2007, 10-2pm at Kennedy Rec Center (1401 7th Street NW, 202.671.4794). Hosted by United Planning Organization Head Start Program and Per Scholas. Computers will be available for $230 & $330! Per Scholas is a non-profit organization with a rich 12-year history of offering affordable technology to low-income families and financially challenged schools and community-based organizations. We are headquartered in Bronx, NY with offices in Miami and Baltimore. For the past two years, Per Scholas has partnered with the Head Start Program in various cities to reach out to families without home computers and technology-deprived schools, day care centers and after school programs. Beyond the New York City area, we have co-hosted outreach events in Baltimore, Miami, Pittsburgh, Toledo, Wilmington, & Washington, DC. This is our third time in DC. Learn more about our threefold technology programs at www.perscholas.org. Please spread the word about this event. We do not require proof of income nor applications. Instead, we ask community organizations serving financially challenged populations to share the information with their staff and the families they serve. These computers also ideal for organizations setting up classrooms and tech labs. We highly recommend placing advance orders at 866.907.1758 - although walk-ins are welcome. Should there be any questions, please contact me (Angela Tyler) at 410.230.1819. Per Scholas - Affordable computers year-round! The DC Department of Public Works will hold its annual spring Household Hazardous Waste and E-Cycling collection event Saturday, April 21, 2007, 9am-3pm at the Carter Barron Amphitheatre parking lot at 16th and Kennedy Streets, NW. This drop-off service is free and open to all District residents. DC residents can bring items including leftover cleaning and gardening chemicals, small quantities of gasoline, pesticides and poisons, mercury thermometers, varnish, solvents, spent batteries of all kinds, roofing tar, chemistry sets, automotive fluids, even asbestos floor tiles to the collection site for environmentally safe disposal. Additionally, an electronics recycler will be onsite to take end-of-life consumer electronics including computers, computer monitors and other accessories, televisions, and office equipment. These machines will be broken down into their component parts (plastic, glass, toxic/heavy metals) and recycled or disposed of safely. Items that will not be accepted during the Household Hazardous Waste and Electronics Recycling Collection include ammunition, bulk trash, wooden TV consoles, propane tanks, microwave ovens, air conditioners and other appliances, as well as radioactive or medical wastes. For more information on household hazardous waste, visit the DPW site. Bring your old and unwanted computers and computer-related equipment to Freedom Plaza (13th and E Streets, NW) on Sunday, April 22nd, 2007, 11am-3pm, and the Environmental Protection Agency will recycle them for free in a manner that is safe for the environment. Safely recycling and reusing computer equipment helps keep substances like lead and mercury from harming people or the environment. Encourage your family, friends, schools, religious institutions, and other community organizations to do the same. We will take donations of computers, laptops, monitors, keyboards, scanners, mice, and other related computer equipment. More information is available at www.epa.gov/oei/recycling. For more information on YIB sevices and resources, visit this page of the MPD site. The Metropolitan Police Department is seeking the public’s assistance in locating a missing person identified as James Johnson, who resides in Temple Hills, Maryland. Following a doctor’s appointment, Mr. Johnson was last seen at about noon on Wednesday, April 18, 2007 in the 1000 block of North Capitol Street, NE boarding Metrobus Number 80. Metrobus Number 80 travels northbound on North Capitol Street, NE and covers the route from North Capitol Street, NE to the area of Fort Totten, NE. James Johnson is 69 years old. He is described as a dark complexioned black male, 5'7" tall, weighing approximately 147 pounds, with brown eyes, a grey mustache, and is bald with grey hair on the sides of his head. Reportedly, he was last seen wearing a short blue jacket, champagne colored pants, and a greenish orange colored shirt with stripes of an unkown color. He may appear to be disoriented and is in need of medication. Anyone who has information regarding Mr. Johnson’s whereabouts is asked to call police at 202.727.9099.
and Florida Avenue, NW below Rhode Island Avenue NW. · help schedule the pick up of household hazardous waste products from their blocks. Any level of volunteer participation will be greatly appreciated. To lend a helping hand please email Cassandra at ACleanerPrettierBloomingdale@hotmail.com. BCA will also assist by transporting the hazardous household waste to the Carter Barron of residents without automotive transportation. Please email Cassandra at ACleanerPrettierBloomingdale@hotmail.com to schedule a pick up from your home. In conjunction with Catholic University of America students, we will be holding a street cleanup in conjunction with Earth Day, this Saturday from 10am to 12pm. We will join up with CUA students at the corner of Monroe and 12th streets. Gloves and bags will be provided. We'll be planting around 15 trees at the recreation center on Saturday, so we'll need lots of volunteers. Sponsored by Trinidad/Ivy City Garden Club in collaboration with Casey Trees. Contact Trinidad/Ivy City Garden Club (202-398-4779) for more information. Join Cultural Tourism DC for more than 60 free walking tours (and a few bike and boat tours) in 18 neighborhoods across Washington, DC. Check the overview schedule, email info@CulturalTourismDC.org or call 202-661-7581 for more information. · All tours are free. · Reservations are not required, with the exception of the bike tours and a few others. Just show up! · Consider taking Metrobus, Metrorail, or the Circulator. Most tours are readily available via public transportation. · Tours are held rain or shine. · Visit the City Guide at washingtonpost.com to check special features and post a review. · Need more info or tips to plan your day? Click here! This 26-mile ride combines a tour of the Anacostia River Walk Trail with the spine of the Potomac Ridge. See Martin Luther King, Jr. Avenue, historic Anacostia, the Frederick Douglass National Historic Site, and the Anacostia Community Museum. Participants should expect rough pavement, hills, and traffic, which will be heavy in spots. Helmets are mandatory. Bring water, food, and ID. Led by volunteer Jon Fleming and presented by the Washington Area Bicyclist Association. Experience the Anacostia River by bicycle with Emeka Moneme, director of the District Department of Transportation. Ride the route of the future Anacostia River Walk Trail to see Anacostia Park and RFK Stadium. You’ll also learn about the many projects that will soon transform the Anacostia waterfront. Presented by the District Department of Transportation. The Florida Market is the city’s major wholesale food distribution center. Walkers will visit two Korean restaurants and vendors inside the DC Farmers Market building. The tour will also address development issues, such as increased demand for urban living. 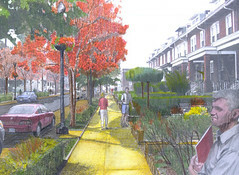 Led by Richard Layman and presented by Citizens Planning Coalition, Frozen Tropics weblog, and Rebuilding Place in the Urban Space weblog. Learn about the development of Brookland over the last 120 years. Hear about the contributions of famous Brooklanders such as Ralph Bunche and Marjorie Kinnan Rawlings, and discover neighborhood architectural styles. Led by volunteer residents and presented by Brookland Tour Committee. Visit notable African American sites such as the first Washington home of Frederick Douglass, the statue of Mary McLeod Bethune, and the Emancipation Monument. Tour highlights also include the Supreme Court where Justice Thurgood Marshall made landmark decisions and the capital rotunda where Rosa Parks was honored. Led by Noel Paige and presented by Urban Communications (UC) Tours. Kingman Island and the adjacent Heritage Island, located near RFK Stadium, are envisioned as a publicly accessible, 45-acre natural park that reconnects the neighborhood and all District residents with the natural wonders of the Anacostia River. Join Howard Ways, Anacostia Waterfront Corporation Ward Seven project director, as he tours the area and discusses plans for this space. Presented by the Anacostia Waterfront Corporation. 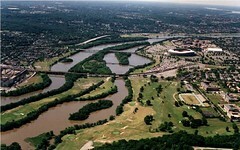 Hill East Waterfront lies along the shores of the Anacostia River at the southeastern end of Capitol Hill. This community will be transformed into an urban multi-use district, connecting the surrounding neighborhood to the Anacostia Waterfront via tree-lined public streets, recreational trails, and accessible waterfront parklands. Led by Jeff Seltzer, Capital Projects Manager for AWC and presented by the Anacostia Waterfront Corporation. Plans for the restoration of 55-acre Marvin Gaye Park call for a green stream valley with recreational amenities that complement and enhance surrounding communities. The project also includes a rejuvenated streambed, a multi-purpose trail, upgrades to sewer and stormwater management, and improvements to the pedestrian bridges. Led by Washington Parks and People and presented by the Anacostia Waterfront Corporation. What: Meet the artists reception for William Papaleo and Michele Mari's "Double Vision: Naples and the Amalfi Coast" Paintings and Fine Photography - both artists are from the Amalfi Coast, and are flying here from Italy for the opening reception and present a clear vision of the Amalfi Coast and Naples in pastels, oils, and photography. 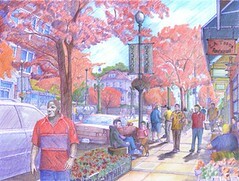 Additionally: Outdoor painting demonstration by William Papaleo, Saturday, April 21st at 9am. Papaleo will paint from life, in morning light, to demonstrate how his work uses color to reflect atmosphere and the changing effects in the light key of nature. The demo painting will be available for sale. 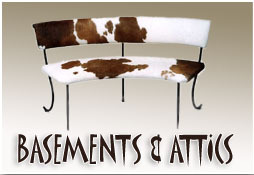 Basements and Attics, 3217 12th Street NE, would like to invite our neighbors and friends this Thursday, April 19th, 6-9pm for an "After-Work Gathering" to say thank you for supporting us these last few years. Complimentary wine, food, and other refreshments will be available for the entire family. The last time I visited this fabulous store, I picked up a Kodak Brownie Starlet in its original box with all the paperwork inside! The home furnishings are a mix of traditional and eclectic - luckily for my hubby I was walking that day and couldn't pick up a set of dining room chairs on a whim. Take a look at some new arrivals here. For those of you visiting via an RSS feed or similar application, my apologies for any confusion. Old posts are showing up as though they are new because I've been updating labels. I can't promise it won't happen again, but I think I'm done for now. Voting Rights March Countdown: 3 Days! We are only three days away from making history! On Monday, April 16th, we will Demand the Vote for DC and I hope you will be a part of the movement - rain or shine. 6:00 PM - Delegate Eleanor Holmes Norton invites all marchers to a "Push the Senate Reception" in Room 50 of the Dirksen Senate Office Building, Constitution Avenue and First Street, NE. The reception will be cosponsored by Sen. Joseph Lieberman (I-CT). If you cannot march with us at 2:30 PM at Freedom Plaza, consider taking a few hours off work and join us for the rally at the Reflecting Pool at 4:00 PM. For more information, visit VotingRightsMarch.org or call 202.263.4397. See you Monday! Even if you believe - as I do - that the proposed legislation will not guarantee us the voice statehood would (and I'm afraid that, if passed, we won't get another shot at full representation for a long time), your voice is still needed in the march. We need to let Congress know that real citizens, who pay all-too-real taxes, are absurdly disenfranchised in the very city in which they work. And maybe folks across the U.S. who aren't aware of our lack of representation will take notice, as well. What: Join the NE DC Historical Society as they continue to explore the history of our Northeast Washington communities - past, present, and in years to come. Presentations will include: The focus for this session will be the Plymouth Congregational United Church of Christ, a beacon of light to the communities of Riggs Park, Lamond-Riggs, Fort Totten, Chillum, the South Manor community of Manor Park, and voting precinct 65. Plymouth Congregational's rich history dates back to 1881. So join us as Mrs. Orelia Ledbetter, longtime member and wife of Plymouth's departed pastor emeritus, acquaints us with this thriving and nurturing religious and community organization impacting youths through senior citizens. Etc. : For those unable to attend this meeting, don't miss next month's meeting to be held from 2:00-4:00 pm on Sunday, May 20th, 2007. Our meeting will take place in Laboratory 1 of The Atlas Performing Arts Center, 1333 H Street, NE. The presentations will include such topics as the Uline Arena, Union Station, Swampoodle, the H Street Trolley Car, and H Street's burgeoning entertainment district. Our meetings take place the second Sunday of every month. During the months of April and May we will meet the third Sunday of the month. Contact queenstowndc@yahoo.com for further information. Shortly before 3:30 pm on Thursday, April 12, 2007, police and DCFD emergency medical personnel responded to the area of 51st Street and Banks Place, NE to investigate the report of a stabbing. Upon arrival, they discovered a male suffering from a stab wound to the upper body. The victim, who has been identified as 40-year-old Moses Anderson, of the 7000 block of Greig Street in Seat Pleasant, Maryland, was transported to Prince George’s County Hospital where he was pronounced dead at 4:02 pm. The case is currently under investigation by detectives assigned to the department’s Violent Crimes Branch. Anyone who has information regarding this case is asked to call 202.727.9099. The Metropolitan Police Department is currently offering a reward of up to $25,000 for information that leads to the arrest and conviction of the person(s) responsible for any homicide committed in the District of Columbia. Earlier today, a news release was issued misidentifying the body of an adult male recovered from the Anacostia River at approximately 3 pm yesterday, April 10, 2007 as a person reported missing on March 23, 2007. It has now been determined that this missing person was located and returned home. The individual recovered yesterday from the Anacostia River is now identified as 49-year-old Rodney Lindsey of the 1000 block of Michigan Avenue, NE. Mr. Lindsey had been reported missing on April 7, 2007. The cause and manner of death will be determined by the Office of the DC. Medical Examiner. What: Councilmember Harry Thomas, Jr. will host a Ward 5 Economic Workshop - "Building Our Community Together"
Workshop Partners Include: DC Office of Small & Local Business; DC Office of Planning; Washington Area Community Investment Fund (WACIF); and Washington, DC Economic Partnership. For additional information call 202.724.8028. Immediately after (2pm), you can head over to the Ward 5 Emancipation Day Community Event at the U.S. Soldiers' Home at Rock Creek Church Road and Upshur Street, NW. Celebrate with Chuck Brown, the All City Marching Band, and the Dance Place Step Team. Additional details are here. The Catholic University's neighbors in Brookland are invited this week, Wednesday through Friday, to see a display regarding Opus Hall, CUA's newest residence hall project which begins construction later this spring. The display features a full-size mock-up of a typical suite in the new building. The Office of Housing Services invites the community to learn more through "The Opus Hall Experience" which will take place April 11 to 13 on the third floor of the Pryzbyla Center. On April 11, from noon to 7 p.m., and April 12, from 9 a.m. to noon, there will be visual displays, voting opportunities on color selections and the full-size mock-up of a suite. On April 13 displays will be available in the Pryzbyla Center, Room 209. For more information, contact housing services at cua-housing@cua.edu or 202-319-5615. Thanks to Craig Parker for this information and his continuing efforts to bridge any gaps between CUA and the greater Brookland community. as we Commemorate our 10 Millionth Meal! 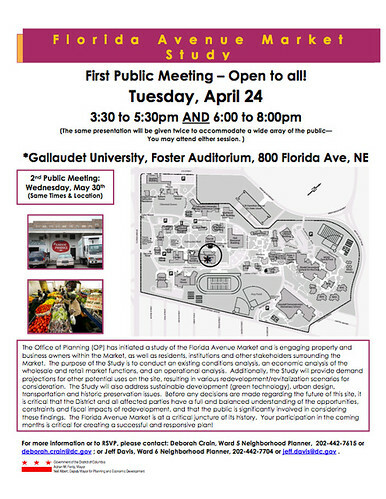 Agenda: This community workshop focuses on the guiding principles of the development plan for the neighborhoods surrounding the Brookland/CUA Metro station. Open House,6-6:30pm; Workshop, 6:30-9pm. » Consultant's reports and additional information are available here. Residents of four row house apartments in Northeast are looking for temporary housing following a morning fire. D.C. Fire and Emergency Medical Services spokesman Alan Etter said the fire broke out at about 9:30 a.m. Tuesday in the 1200 block of Raum Street. Etter said residents of all four units were home when the fire occurred. They escaped without any apparent injuries, but a senior woman is being evaluated for medical problems. At least a dozen people lived in the four apartments that were damaged by the fire. The cause of the blaze remains under investigation. Additional details and pictures can be seen at dcfire.com. Premier Community Development Corporation (PCDC), a nonprofit community membership organization designed to improve housing, economic development, and the quality of life in Ward 5, is sponsoring a forum to discuss the school reform proposal. The forum, entitled: "Standing Up for Children, Families, and Communities: The Role of Government and Stakeholders in Improving Our Schools, Our Neighborhoods," will be held on Wednesday, April 11th, 2007, 6:30 PM to 8:30 PM, at the North Michigan Park Recreation Center located at 13th and Emerson Streets, NE. - The mayoral schools takeover -- a panacea, cure-all, current fad, or public relations attention-grabber? - What is the cost of the proposed school takeover and the impact on bureaucracy? - What does accountability entail? Will being in charge guarantee success and problems fixed? - How can D.C. reduce the problems in communities and homes that affect teaching and learning? - How can the D.C. school system improve school performance now? - What are the roles and responsibilities of parents, teachers, civic leaders, business leaders, labor, faith community, and government leaders in improving education? - How does the "No Child Left Behind" law impact schools? - How can we make a difference in education and make D.C. a model for the world? - Should traditional D.C. schools be funded like charter schools? Why are charter and traditional schools regulated differently overall? - Should there be a referendum for any Home Rule charter changes? Can we wait for Wards 4 and 7 elections? If anyone knows more about PCDC (I couldn't find a website or other online presence for them), please leave details in the comments. At approximately 12:30am, on Sunday, April 8, 2007, police were called to an apartment building located in the 1800 block of Central Place, NE, for the report of an unconscious person. Upon arrival police located 56-year-old Robert Beidleman, Jr., of the above address, inside of an apartment suffering from apparent multiple stab wounds to the body. DC Fire Department emergency medical personnel responded to the scene but could find no signs consistent with life. He was taken to the DC Medical Examiner’s Office and pronounced dead. The Metropolitan Police Department currently offers a reward of up to $25,000 to anyone who provides information that leads to the arrest and conviction of the person or persons responsible for any homicide committed in the District of Columbia. What: The Brookland Civic Association and SMD 5A-06 monthly meetings will be held jointly. Etc. : For more information, call Marie Baird Curry at 202.635.1970. The Metropolitan Police Department is seeking the public’s assistance in locating a missing person, identified as Altonio Herbert Johnson. He was last seen at approximately 9am, on Monday, April 2, 2007, leaving his residence located in the 100 block of 49th Place, NE. Altonio Johnson is 13 years old. He is described as a medium complexion black male, 5’7” tall, weighing approximately 125 to 130 pounds, with brown eyes and black hair. He was last seen wearing blue jeans and blue or white shirt. Anyone with information regarding Altonio Herbert Jonhson’s whereabouts is asked to call police at 202.727.9099. A DC Police officer is recovering from a gunshot wound to the left calf. He was among 3 officers from the 5th District Focus Mission unit who were patrolling the streets in the Trinidad neighborhood in Northeast when they encountered three men drinking in an alleyway off of Penn Avenue [Street?]. Investigators say two men complied with a request to pour their alcohol out but a third man took off and was caught a short time later. As they attempted to arrest him, police say there was a struggle and the suspect fired a gun that was in his waistband, hitting himself in the left thigh and the officer in the left calf. The unidentified officer is expected to make a full recovery. The suspect underwent surgery Tuesday night. He'll be charged with assaulting a police officer, a far more serious charge than drinking in public. Etc. : Mayor Adrian Fenty will be in attendance. Both civic associations meet the first Tuesday of the month, except July and August, at the Washington Center for Aging Services.